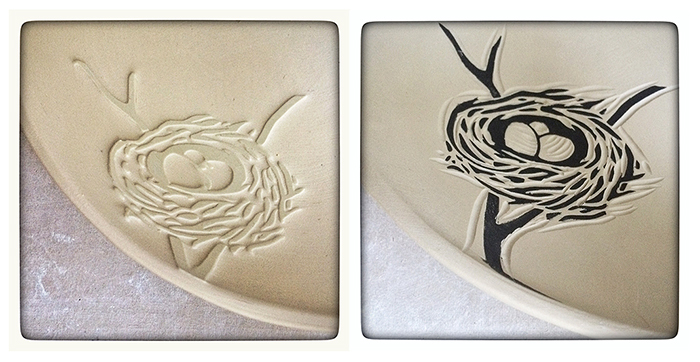 Water-etched, and stenciled and carved nests. 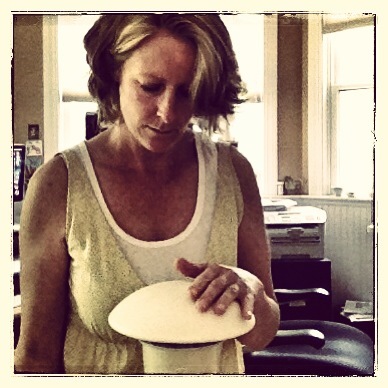 Testing the dryness of a bowl to see if it’s ready to take off the mold. 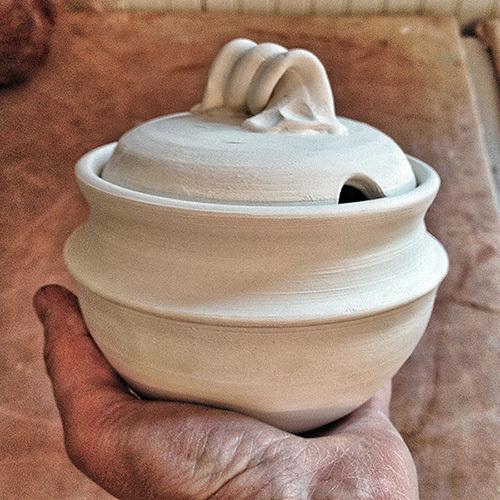 Timing is everything when working with clay. 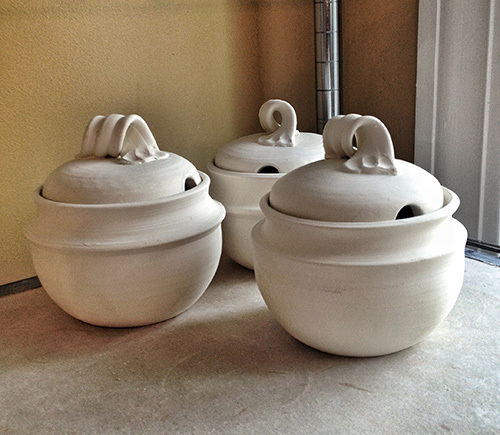 Bisque firing sugar bowls, among other things tomorrow.